2 Beds 2 Baths 997 Sq. ft.
Beach life at an affordable price! Walking distance to the spectacular Gulf of Mexico or 10 min. to the open waters by boat. 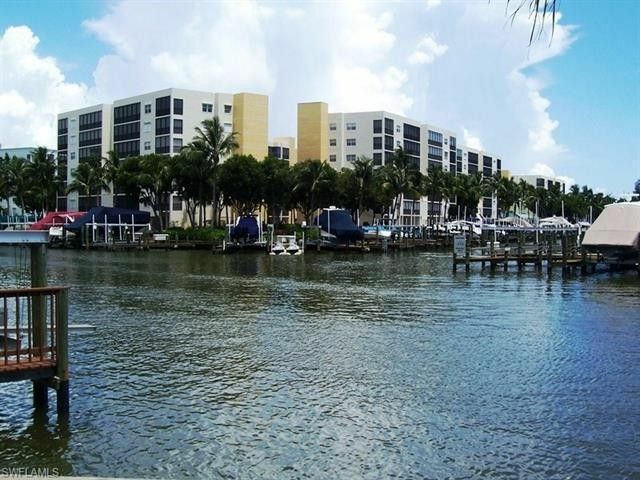 This wonderful 2 bedroom 2 bath condo on a canal will not disappoint. Offered turnkey, has under building parking, inside laundry and a storage unit! Custom cabinets in the kitchen and updated appliances including a new washer and dryer. Air Conditioner & hot water heater newer as well. Secure lanai that has electric shutters, is screeded in and spans the entire length of the living room and master bedroom. Many amenities along with being an active community. Boat docks available for purchase. Located on the south end of Ft Myers Beach within walking distance to plaza with many restaurants, retail shopping, marina and drug store. Rental in place if new owner is interested for Jan - Mar 2019 at $12.000. Place your offer today before it is taken!